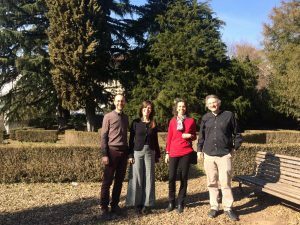 The last virtual work meeting of the TAVIE Project included a special work day on the campus of UniTrento – Italy. 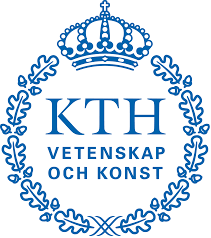 The day was marked by the staff mobility of representatives of UPM and KTH partners. The development of the agenda included the update of the Intellectual Output 1 progress, as well as the partners’ contributions and discussion on the matter. And, of course, it could not miss a photographic record of the event with part of the project team! Esta entrada fue publicada en HOME el 10 marzo, 2019 por internationalplanning. Have you ever wondered how international mobility affects your professional career, or how these opportunities for learning reasons stimulate and enrich your personal life? Here we tell you the latest European initiative to respond to these and other challenges. Through the Erasmus + program Universidad Politécnica de Madrid in partnership with the universities: Kungliga Tekniska Hoegskolan, Ecole Centrale de Nantes, Budapesti Muszaki es Gazdasagtudomanyi Egyetem, and Universita Degli Studi di Trento, launch the research project Tools for Enhancing and Assessing the Value of International Experience for Engineers (TA VIE). An interesting proposal that will help you to plan and lead your future, undertake new challenges and face the complexity that the current labor market poses to you. The European Commission has been at the forefront of public policy initiatives in addressing the New Skills Agenda. Nowadays, not only technical skills are needed but also a type of boundary spanning ability, boundary spanning being the ability to communicate across disciplines, systems and cultures, as well as self-knowledge. When analyzing which tools may help to shape professionals with these skills internationalisation gets an important role. The only known way to strength these competences is to participate in multidisciplinary project teams working on problems that have no known solutions. Considering multicultural teams and international projects enrich this experience, strengthening competences today needed. 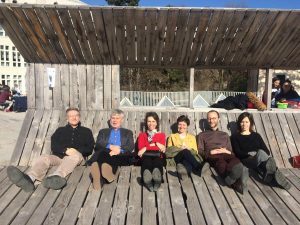 The Project TA VIE will help to identify those competences currently essential to work in a multidisciplinary and international context and to measure them. With the joint of those competences (knowledge, skills and attitudes) as a whole, we will obtain the so called Global Competence. We assume that some skills and attitudes dramatically improve in a positive way after an international mobility. Therefore, in order to make the best of international mobility, it should be designed accordingly and its results should be assessed by all those target groups (HEIs, students, employers) involved in the implementation of TA VIE. Reaching TA VIE objectives will contribute to curricula development with high-quality skills. The implementation of a tool kit for assessing and measuring the achievement of those skills that make up global competence will clearly improve the transparency in recognition of skills. Esta entrada fue publicada en HOME, NEWS! el 26 noviembre, 2018 por internationalplanning. Esta entrada fue publicada en HOME el 27 octubre, 2018 por internationalplanning. 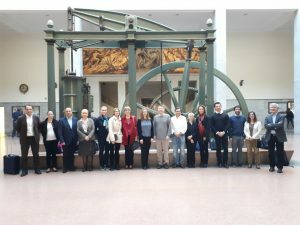 The last Tuesday 16th October, the kick-off meeting of the TA VIE project was held in Madrid. In the official presentation of the project, the respresentatives of each partner institution were present. The agenda of the event was marked by the presentation of the project management plan and the exhibition of each of the intellectual opouts that are expected from the project. And, of course, it could not miss a photographic record of the event with the project team! Esta entrada fue publicada en HOME, NEWS! el 17 octubre, 2018 por internationalplanning. The TA VIE research project welcomes you to its official website. Here you can find all the information related to the project at first hand, be up to date on all the news and details of the development of the project. Also, you will have the opportunity to access resources and exclusive information about the project. We hope you enjoy the project and actively participate in it. Esta entrada fue publicada en HOME el 20 septiembre, 2018 por internationalplanning.